Introduction. “He healeth the broken in heart, and bindeth up their wounds.” The Psalmist here declares that the same mighty hand which rolls the stars along, heals the broken heart. Oh, if we were as aware of spiritual injuries as we are of bodily diseases, we would cry out to “the Beloved Physician.” We are injured by the sin of our first parent, and disabled by our own. (1) The Great Ill. This great ill, this broken heart, what is it? There are hearts broken by desertion. A husband neglects the wife he used to lavish with love. A friend deserts you. Your fellows betray you. Children are ungrateful. Many have gone to their graves by wounds like these. There are hearts broken by bereavement. Tender wives have laid their husbands in the grave. Parents have lost beloved kids. To such as them the world becomes cheerless and miserable. But divine grace can uphold them. And what about our soldiers in the war? There is more grief sometimes in one of their hurried funerals than in one of ours at home. Oh, you mourners! Open your hearts before God. He will heal them. There are also hearts broken by poverty. Hang on, and hope on! The Feeder of sparrows cares for you! And there are spirits crushed by disappointment and defeat. 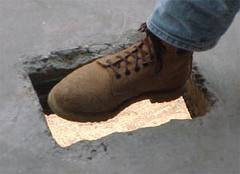 All these natural breakings Jehovah pays attention to. He can heal all wounds. But it is the heart that is broken on account of its own sin that God specially delights to heal. Bunyan says a heart like this is “considerably tumbled up and down.” This wounded spirit is grieved by things like amusements and dirty songs and drinking, and requires a healing from beyond this world. Even its religious duties bring no comfort. Nothing cheers it. What a blessing to be broken like that! God is changing it! This heart is truly repenting! There is pardon for sinners through Jesus Christ! Are you anxious to be carried to God’s Hospital of Mercy? Just lie down at Jesus’ feet. (2) The Great Mercy. Man can cheer the afflicted and harassed. But only God can heal the broken heart. The preacher may break it by a fiery sermon. But only God does the healing. Be careful not to just get your wound rubbed over by a bad physician who recommends pleasures or duties for your broken-ness. Your heart needs to be washed in the blood of Jesus. Seek no other physician than God, and he will do it. Plentiful in mercy, God rushes to his repenting child, and bows over his mangled heart. He washes every wound with sacred water from the side of Jesus. The queen may visit and comfort a soldier with royal words. But only God visits to close the open wounds of the spirit. He is gentler than any army surgeon, and he heals forever. He who is forgiven cannot be punished. He who is born again can never perish. Introduction. It is worth noticing that good men often discover their duty by being placed in humiliating circumstances. This happened to David. Once, he pretended to be crazy to fool a king, and the children in the street laughed at him. By the remembrance of that event, maybe, he sets out to do something better than make children laugh. He will teach them the fear of the Lord. (1) One Doctrine. Here it is: Children are able to understand religious topics, contrary to popular opinion that says they can’t. Children often understand these things better than geniuses do. A child capable of being damned is capable of being saved. If teachers can’t make children understand, it is because the teachers do not understand themselves. Anyway, God can work upon little hearts as he pleases. Be careful not to dismiss one of these tiny buds of grace. If a child declares love to Jesus, treat that little one as a real member of God’s church! (2) Two Encouragements. First, David’s example. “I will teach you the fear of the Lord,” says David. You are not too proud to follow in the steps of David the giant killer, are you? And follow the Son of David, Jesus, who says, “Suffer little children to come unto me.” Second, David’s success. “I will teach you,” he says—not perhaps. 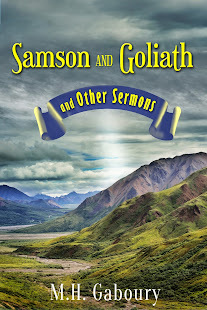 Many volumes could be written on the success of Sabbath-schools in teaching children. It is a noble work. Go on in it! More shall yet be done! (3) Three Cautions. First, remember who you are teaching. Children have little option of going somewhere else. And they believe and retain error as easily as truth. Second, recall that you are teaching for God. This should make you tremble and make sure you are teaching truth. Third, remember that a child needs teaching. He was born in sin. He has an evil seed in his heart. It is your job to sow a good seed there, or he will be forever lost. Be very anxious when you teach. (4) Four Instructions. “Come, ye children.” This means go and invite them. Do not bribe them. That is a mean abuse. Just coax them to come along. Then fill the school by teaching interestingly: tell lots of stories. Next, get the children to love you. Otherwise they will not learn. Wear a sour look while you tell a boy about Jesus, and will the boy not think Jesus is as sour as you? Then, keep the children’s attention by the use of many stories and pictures. Finally, stick to the lesson. (5) Five Sunday-School Lessons. Here they are: morality (what’s right and wrong) to make them know their sins; godliness (one-on-one prayers and love to God) to make them conscious of God’s tender care and all seeing eye; the evil of sin to convince them of needing a Saviour; the need of a broken heart of repentance through God’s mercy; and the blessedness of being a child of God. Oh! Emphasize this last point. Show them how to be happy in spite of all your troubles. And be sure not to leave out the three R’s: Ruin, Regeneration, and Redemption. M. R. De Haan, The Second Coming of Jesus (Grand Rapids, Michigan: Zondervan, 1944), 178 pp. Once every few years I go through my boxes of books and begin to cull. Some books I give away. Others I shred. This one will suffer the more severe form of rejection. 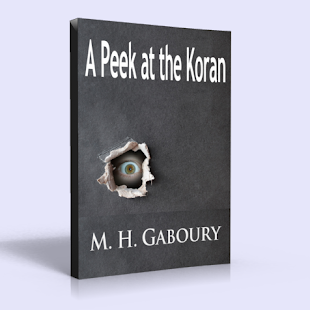 Its companion by the same author, The Jew and Palestine in Prophecy, has already been subjected to this latter fate. Just before I began shredding the one I will now review, I thought, ‘Why not show, in a book report, why such a book is so deserving of a violent end?’ This is what I intend to do. M. R. De Haan used to be the host of Radio Bible Class. The messages contained in The Second Coming of Jesus were first delivered orally via the radio. Mixed in with his obsession about this modern-day trinket called the ‘pre-tribulation rapture’ are doctrinal statements that readers may be blessed by. “Two things can alarm us: the law and death, but the law cannot touch the believer because its penalty has been paid, and death cannot harm us because the sting of death is gone, and that sting is sin” (p. 119.) Personal appeals are occasionally made that the Lord could use to bring sinners to repentance by. “Friend, are you ready for that day? [the second coming of Jesus] Common sense teaches that we are in this world for a little while, and then comes a long, long eternity” (p. 71.) And some parts of his prophecy timetable may prove true. “Before the coming of the Lord the professing Church will fall into worldliness, leave the preaching of the Gospel to turn to politics, moral reform and the preaching of a bloodless gospel” (pp. 175, 176.) It is not to suggest that we are imminently close to the end that I will add: large parts of the professing Church, before the second coming, will be infatuated with books (like De Haan’s) that particularize wildly about the end-times. When I first read these books, I enjoyed them and even benefited from them a bit. It had been better for me, in hindsight, to read books by scholars who major on major doctrines instead of those by amateurs who dogmatize on minor topics like ‘The Rapture’—‘The Tribulation’—‘The Antichrist.’ The only reason an old hand like L. Berkhof touches on these minor things (in his title, The Second Coming of Christ) is to refute what so many are being falsely taught by men like De Haan under the head of eschatology. True, John Bunyan wrote a treatise called, Of Antichrist and his Ruin. But the subject was not a main plank of theology for him. Sustained focus on topics like the three mentioned above will stunt your growth. What greater topics may be studied? For starters: Redemption—Regeneration—Justification. Read The History of Redemption by Jonathan Edwards or Christ’s Redemption and Eternal Existence by Thomas Manton, for example. You will discover, then, that there is too much Significant Truth to learn for you to spend time on modern ‘end-times’ mania. Mapping cryptic prophecy in minute detail may be fun. But such work is seldom accurate. And inaccuracies do not lead to edification. M. R. De Haan is far from the worst seed in the modern crop of ‘prophecy experts.’ But even he, with ease, can be shown for the careless interpreter that he is. When one gets a sight of the shoddy performance that his writings exhibit and that I am about to show, one ought, if one values one’s understanding, to prepare to do a lot of shredding and a little shopping. I will zone in on three faults in order to discourage books like this one from being read. (1) Such authors (by which I mean, mainly: end-times Fundamentalists) tend to be proud, devious partisans. They have been reared in, or converted to, a shallow system of thought called Dispensationalism. Because they are so indoctrinated into thinking they’re right about everything religious, they brashly repeat the unbiblical hypotheses that they have uncritically received, and they do it, just like their tutors have done before them, in the face of, and against, the revelation of plain truth. Will the second coming of Jesus be an event divided into two appearings? Will there be a secret appearing seven years before the great and last one, as this radio host contends? “Thus it will be at the coming of the Lord. Only those who are tuned to Station ‘BLOOD’ will hear that shout” (p. 30.) Is there a secret ‘shout’ spoken of in Scripture that pertains to the Second Coming? There is not. This is why De Haan employs odd euphemisms instead of words from Scripture to teach the idea. Those who will hear the secret shout must be ‘tuned in’ or on the ‘right wave length,’ he says. There is nothing scriptural for him to quote in order to show that the secret shout is biblical. This is why he speaks like that. Mr. De Haan seems too embarrassed to paraphrase the whole of 1 Thessalonians 4.16 on page 30. He stops at the word ‘shout.’ The verse continues: “with the voice of the archangel, and with the trump of God.” Even when De Haan comes to his heading called ‘The Archangel’ on the next page, he avoids this verse that he just alluded to and halfway paraphrased! The archangel shouting is something for De Haan to keep secret in order to convince heedless persons that the shout is a secret shout. With more of the verse before us, let’s turn to John’s version of the same event: “Behold, he cometh with clouds; and every eye shall see him, and they which pierced him: and all kindreds of the earth shall wail because of him. Even so, Amen” (Revelation 1.7.) The apostles’ verses on the same subject are in perfect harmony. According to Paul’s verse, every ear will hear (who could be deaf to an archangel’s voice and God’s own trumpet?) According to John’s verse, every eye will see (who could remain blind before the glorified Christ revealed?) There is no secret ‘shout’ going on in 1 Thessalonians 4.16. The verse (in perfect harmony with John’s) is about the second coming of Jesus Christ that will be seen by all, heard by all, obvious to all, dreaded by most, and welcomed by some. End-times authors of the Dispensational stamp tend to be proudly partisan, and misleading besides. (2) Such authors tend to be bungling boobies, and sectarians too. They fall into snares because of their ignorance. Mr. De Haan wants there to be a literal 1000 years of peace on earth with Jesus ruling from Jerusalem. “A thousand years mean a thousand years; a wolf means a wolf; a lion means a lion” (p. 83.) So because Isaiah speaks of a lion eating straw, we must take this literally; and when Revelation speaks of a millennium, we must take that as a literal 1000 years. That is what he means. Now listen, I am not even taking a firm side against these two things coming to pass. I don’t think they will. But it’s not a matter of dogma for me. I want merely to show that end-times authors make blanket statements that are false, and that, because of this, they should not be consulted when seeking instruction on the meaning of the Bible, especially regarding some of the hazier subjects contained in it. Does a lion always mean a lion in Scripture? The ‘Lion of the tribe of Juda’ (Revelation 5.5), is that a literal lion? The ‘roaring lion’ of 1 Peter 5.8, is that a literal lion? “Thou shalt tread upon the lion” (Psalm 91.13), does that speak of a saint treading down a literal lion? These lions are all figurative, not literal. If the word ‘lion’ is not always meant in a literal sense, De Haan affirms that “God doesn’t mean what He says” (p. 83.) Anyone taking the word ‘lion’ or ‘thousand’ figuratively is ‘demonizing’ the Scriptures, apparently. That ‘school of interpretation’ which ‘spiritualizes’ has to do with an ‘evil spirit.’ This is his angled way of saying you mustn’t be a Christian if you interpret figuratively. I’m not stretching the truth when I say this. On page 108 he asserts that those who disagree with him on when the Church was founded ‘are still afflicted with Israel’s blindness.’ What kind of blindness can he be speaking of here but spiritual blindness? Who is spiritually blind except unbelievers? What is De Haan doing by using language like this but inciting hatred between Christian and Christian? What is a sectarian but a person (De Haan) who divides Christians on account of a disagreement on a subordinate, non-essential point like when the Church actually began? Men like De Haan come across so gentle-like and meek—until you stop to consider what they really imply by their putdowns. Unless you hold to a dispensational model of interpretation, you are not a Christian. This is what he intimates. Does De Haan not see the logical deduction of his accusations? If he cannot deduce, then neither should he teach. Let’s turn now to the figure 1000 and see if it’s true that, in Scripture, ‘a thousand years mean a thousand years.’ If the number ‘thousand’ means something figurative sometimes in the Bible, then it is possible, is it not, that it might be intended figuratively in the largely figurative Apocalypse? Job 9.3: “If he will contend with him [God], he cannot answer him one of a thousand”: here a figurative turn including the number 1000 is used to convey the concept ‘never.’ Psalm 50.10: “The cattle on a thousand hills”: here the number is used figuratively to signify ‘everything.’ Psalm 84.10: “For a day in thy courts is better than a thousand” is a figure of speech denoting an infinite number of days. Psalm 91.7: “A thousand shall fall at thy side” is not literal, but symbolic speech for spiritual conquest. Psalm 105.8: “He commanded to a thousand generations” is a figurative way of stressing the certainty of God’s covenant promises. Ecclesiastes 7.28: “One man among a thousand have I found; but a woman among all those have I not found” is a figurative way of warning men that immoral women abound. Song of Solomon 4.4: “Thy neck is like a tower of David builded for an armoury, whereon there hang a thousand bucklers” is a romantic way, a symbolic way, a figurative way (certainly not a literal way) of praising a woman for the beauty of her neck. 1 Samuel 18.7: “Saul hath slain his thousands, and David his ten thousands” means that Saul was less valiant than David was. “For a thousand years in thy sight are but as yesterday when it is past” in Psalm 90.4 is a symbolic way of presenting the eternal perspective of God. A ‘thousand’ does not always mean a ‘thousand’ in the Bible. Must a ‘thousand’ mean a ‘thousand’ in the Apocalypse? True, the number thousand is sometimes approximate or even literal. Example: Isaiah 7.23: “A thousand vines at a thousand silverlings” may denote a particular sum for a particular number of objects. But I have shown enough to prove that we should be on our guard against dogmatism in regard to a literal future 1000 years’ reign with Christ on earth because the number ‘thousand’ is often used in a figurative way in the Bible. If ‘thousand’ or ‘thousands’ is meant in a figurative way so many times in the Bible, then it is possible, and even plausible, that the ‘thousand’ years mentioned in the book of Revelation is to be taken figuratively as well. To insist, as De Haan does, that a lion always means a literal lion and that 1000 years must mean exactly that, betrays a shameful ignorance of Scripture and the science of interpreting it. (3) Such authors are minor students who major in minor subjects. “First of all, notice that in every passage of the Word where the Tribulation is mentioned it is with regard to Israel” (p. 46.) Whatever ‘the Tribulation’ may be, whether a past event or a future event, there is a more important kind of tribulation that is passed over by prophecy programs and their shallow systems in favor of their cloudy one that is too often speculated about. Unlike ‘the Tribulation,’ this tribulation is one that we should be hoping to find ourselves in right now because unless we are in it, we have cause to doubt the salvation that we profess is ours. “In the world ye shall have tribulation” (John 16.33.) This is the promise of Jesus to his saints. This is the tribulation to be inquiring into. Tribulation should be a visible mark on the life of every Christian. The kingdom of God is entered into through tribulation’s door (Acts 14.22.) We should have ‘companion[s]’ in tribulation’ (Revelation 1.9.) What does ‘the Tribulation’ matter if you have no tribulation by which to prove the authenticity of your profession of faith? Let writers like M. R. De Haan go on, if they are so ordained, writing books about auxiliary matters that they can never be certain of. Christian time and studies ought to be better occupied than with turning over pages and pages of material of dubious merit and pertinence. Do you not see what perusing the writings of end-times authors leads to? You will learn to obsess about subsidiary mysteries too. End-times immersion will make a proud partisan drone out of you. You will learn to interpret like the bungling boobies who write books like the poor one on my lap right now that deserves a shredding. And if you become a writer, you’ll be nothing but a factious hack. Being so stunted, and ignorant of the weightier matters of law and gospel, you may come to think everything of ‘the Tribulation’ you can never be sure about, and nothing about a tribulation that you must find yourself engaged in for a sure entry into God’s everlasting kingdom. I read this book six years after my conversion, in 2001. It was my custom back then, and it still is, to put question periods in the margin to note that I might disagree on some point or other. In a book so riddled with faults, I am appalled that I can find only four question periods in this whole book. Too often back then, especially while reading Fundamentalist books, I did not question enough. 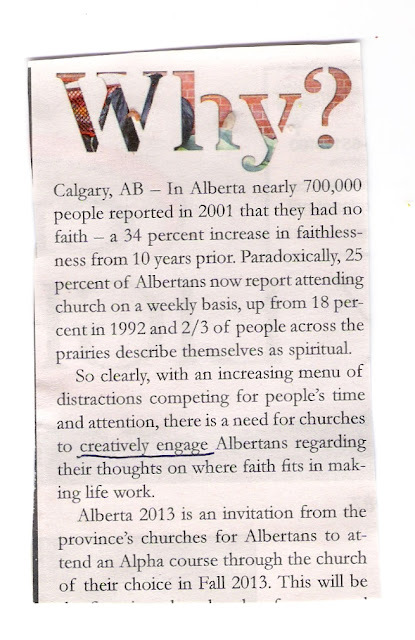 I did not question enough because I had inherited, early on, many biases through my heavy intake of half-baked theology. Books like this one were almost the only Christian ones available at the thrift stores and the Christian stores. This is still the situation today. 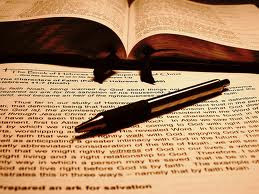 Dispensationalist writers were helping to grow me in the faith by what was faithful and true in their writings; but in tandem with that, they were making a conceited, superficial bigot out of me. I had been crawling out of this literary ditch by 2001. 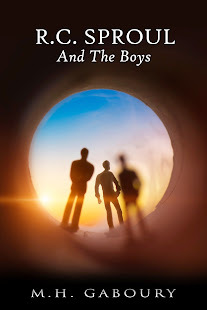 But it is clear by the many asterisks in the margins of this book, that I was still believing, at that time, many quirky dogmas, like the one about giant offspring resulting from the mating of demons with women (p. 134.) Only by God’s importunate grace did I gradually come into possession of better material for my mind. For many years now (except to dissect for critical purposes) I have been tuning out writers like De Haan with as much resolve as they formerly exercised to tune me in to their deformed, prejudicial system of eschatology. Now that I have shredded this book figuratively, by which I mean critically, I now proceed to shred it literally. Arthur W. Pink, The Sovereignty of God (1918; Grand Rapids, Michigan: Baker Books, 2009), 269 pp. 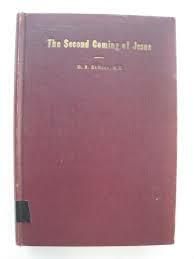 For the most part, churchgoers and even preachers preferred ‘light and spicy’ literature to treatises on doctrine in 1918 (first Foreword) when The Sovereignty of God was first published. Now, nearly a century later, doctrine is not just less preferred, but tailored to taste. One publisher has reissued this treatise in an abridged form. Those who dismiss this book by referring to it as ‘Hyper-Calvinism’ ‘will not be worthy of notice,’ says Pink (first Foreword.) But he would certainly take notice, if he were alive, of a publisher selling an abbreviated edition of his book. Why was the book shortened? 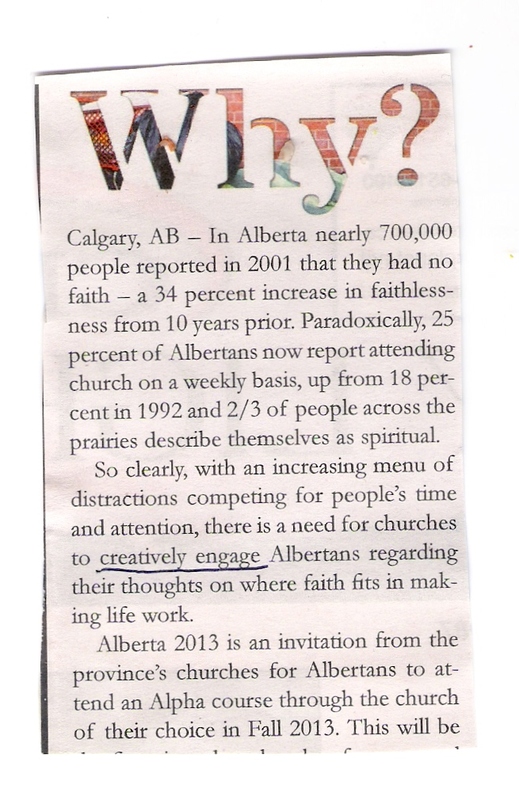 Was it not done to rid the book of what the publisher thinks are ‘Hyper-Calvinist’ ideas? I had this shortened version once. Too bad I don’t still have it, for I’d like to see how cut down it really is. Some other reviewers have a better idea of what the guilty publisher has done. On behalf of A. W. Pink, I intend to take notice of this publisher by scolding him for a few lines. And I use the word ‘him,’ not ‘it,’ to identify the guilty party, for the foul work was done by a person, not just an impersonal publishing house. Only a full edition of this treatise should be made available to read. Baker Books is considerate and courageous to give us that, and self-effacing enough to let us decide for ourselves whether or not to read a whole book. To self-efface is more Christian than to deface your brother’s work. Defacing an author’s book is exactly what this other publisher has done. I hate even mentioning that publisher’s brand here because I’ve benefited so greatly from the books that are sold under its banner. Romans 11.22 insists that we behold both ‘the goodness and severity of God’ (p. 230.) Who is at fault, then? The author who would help us behold the fullness of God? Or a publisher who truncates the fullness of God that the author has labored to help us behold? Is the severity of God not a factor for a publisher to behold while he cuts certain parts and aspects out of an author’s work? A publisher like that ‘knows not what spirit he is of.’ For certain, he is, while acting thus, ‘as carnal.’ A doctrine that ‘is the centre of gravity in the system of Christian truth’ (p. 214) deserves a full exposition and a full hearing or reading. No one has been given the right from inspired revelation to prevent God from being known as fully as he has disclosed himself. If a publisher disagrees with how an author has made God known, or thinks the author has misrepresented God, that publisher should hire an author to compose anew rather than meddle with a man’s intellectual property! It may be that the parts that are cut out of said book will cry up to God from the cutting room floor to draw a curse down on that publisher. To mess with a man’s work is to violate the man. And when the work that is meddled with is about the character and will of God, then is God’s name not desecrated in the violation? Some publishers must have little idea of the momentous implications of what they so casually do. Broadly speaking, the doctrine so carefully exposited by Mr. Pink is “the key to history, the interpreter of Providence, the warp and woof of Scripture, and the foundation of Christian theology” (p. 19.) More particularly, sovereignty means that it is God who determines the destinies of men (p. 20.) It means that God has the right to deliver or not to deliver, like when he allowed Stephen to be stoned but rescued Peter (p. 22.) His sovereignty is displayed in announcing the Messiah to lower class shepherds and to heathen people instead of to the scribes, the lawyers, and the Sanhedrin (p. 27.) Sovereignty means that God may even work to carry out his secret decrees through men like Judas (p. 41.) “If then the arch-rebel was performing the counsel of God is it any greater tax upon our faith to believe the same of all rebels?” (p. 42.) It is because of the sovereignty of God that Moses was prevented from entering Canaan for uttering a hasty word, while the murmuring Elijah suffered only ‘a mild rebuke’ and was taken up into heaven instead of being allowed to die as other men (p. 45.) Sovereignty is what limits the atonement to those chosen beforehand to salvation (p. 61.) Some names have not been written in the Book of Life (Revelation 13.8); this is proof that sovereignty has limited the number (p. 99.) To such generalizations and particulars, A. W. Pink adds periodic summaries of what Scripture teaches concerning election and reprobation (pp. 58, 100, 104, 125), which decrees fall out from God’s overarching sovereignty. Arthur Pink is often tagged as a Hyper-Calvinist. Is that a fair description of the man? I wouldn’t be so sure. 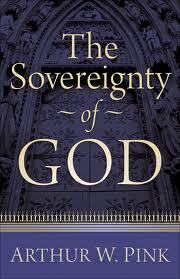 Does this treatise on sovereignty teach Hyper-Calvinism? Consider the main marks by which a Hyper-Calvinist may be identified. The first mark of Hyper-Calvinism is the assertion that the non-elect are not duty-bound, or responsible, to believe on Christ. No such mark can be found in the chapter called God’s Sovereignty and Man’s Responsibility, which is where it would be found if it existed. Though man lacks ability, yet he is accountable, teaches Pink (p. 154.) An irrevocably determined destiny relieves no one of responsibility (p. 162.) That sounds like an orthodox belief in responsibility to me. This chapter is the most poorly executed part of the book, but not because of any Hyper-Calvinist trend. The second mark by which Hyper-Calvinism may be identified is what naturally follows from the first: a curtailed form of evangelism. If certain sinners are not responsible, why bid them to believe or call them to repentance? Do you see the progression? But there is no sign of the second mark either. A. W. Pink is not for preaching to the elect alone. “Others [besides the elect] have the benefit of an external call” (p. 210.) These are his exact words. That perverted form of Calvinism which is designated by the prefix ‘hyper’ or ‘ultra’ and which may be identified by this mark cannot be found in this treatise, not even in the author’s notes on evangelism, which is where the second mark would be found if it existed (pp. 73, 141.) Arthur Pink believes that moral darkness will increase from his day until the end of the world (pp. 13, 14), that ‘guilty Christendom’ will be deluded and take part in it (p. 124), and that God is not seeking to convert the world, but only his chosen part of it (p. 237.) But none of this (and does it not all ring true?) is inconsistent with preaching the gospel to all. And none of it is inconsistent with believing that all sinners are responsible for a faith that they cannot produce and will never have except it be imparted by grace. But there is one more mark to inquire about. That God does not love the non-elect in any way, shape, or form is another Hyper-Calvinist mark. While Pink does clearly state (in the chapter called Difficulties and Objections) that God hates the non-elect and loves them not at all, he admits in chapter one (p. 25) that God is kind to those who are unthankful and evil, according to Luke 6.35. This kindness may be qualitatively different from the love that God has for his elect, but it is a kind of love, and therefore the man should not be accused of Hyper-Calvinism based on this point either. The mutant form of Calvinism, the perversion of the kind that is true and Scriptural, just doesn’t exist in this book. (And if not here, in this book on ‘Sovereignty,’ then probably not anywhere in this man’s writings.) The truth is, an author is usually labeled ‘hyper’ on no surer ground than that he teaches the doctrines of election and reprobation in all their concentrated strength. Both of these doctrines appear again and again from Scripture to Scripture, from one Testament to the Next, and from the Prophets to the Apostles, as the expositions that precede Pink’s many and useful summaries soundly prove. What is dismissed or shunned by those who scorn Pink is not eccentric Hyper-Calvinism, but the flowers of Calvinism that spring up from the root of Scripture. His tone is abrasive. But that is another matter. Might Calvinism be rejected by some on account of his tone? No matter what its tone, this treatise on sovereignty will be rejected by any person who is determined to rest content with his present caricature of God. This obnoxious tone, though, is a needless, avoidable hindrance. It is impossible to ignore or not be aware of. I’m surprised that more reviewers don’t mention it. The tone, more than doctrinal content, is what repels more teachable readers, I think. At least once the attitude comes across in a funny, inoffensive way, as in the case where he shows that the lot is disposed, not by chance, but sovereignly. Two exclamations, not just one, follow upon the proof of that (p. 240.) 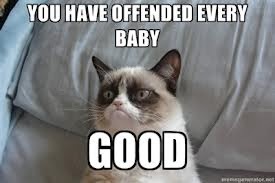 Usually and regrettably, the attitude is offensive. From page 96: “Again; did Pharaoh fit himself for destruction, or did not God harden his heart before the plagues were sent upon Egypt?—see Ex. 4:21!” People are already emotional and touchy about this subject. Teaching in this manner will not go far toward winning them over. It hurts the cause of truth more than it helps it. With Pink, the acerbic spirit is more pervasive than isolated. It can be found with ease, twice just on one page, for example (p. 104.) The biggest turnoff is when the attitude is found with error, as on page 176: “We can only ask God for what Christ would ask. To ask in the name of Christ, is therefore, to set aside our own wills, accepting God’s!” (all emphasis his.) If we can ask God only for what Christ would ask, as Pink teaches, then we can never ask God for grace to overcome a sin, can we? I counted only one tender moment in this entire treatise, on page 49. The one on page 191 doesn’t count, for what touches us there is the combined influence of Madam Guyon’s poem and the vignette from her life. (I don’t approve nor recommend her prayer methods.) It should not be a miserable experience to read and learn about the wonderful decrees of God and the ultimate hinge of his inscrutable will. This treatise full of beautiful truth is unpleasant to read. And I say this even though I agree, in the main, with what the treatise teaches. I believe in double predestination. I believe that God loves the elect especially and in a higher sense. I believe that God hated Esau and that Pharaoh was ordained to damnation to the glory of God’s justice. Why, then, do I take issue? This book is not part of a debate about truth. Pink assures us of this when he states, in that first Foreword, that he is not ‘entering the lists’ with anyone. If the treatise were a debate, the attitude would be more tolerable. But this is supposed to be an exposition. And if this were a debate, even then there would be something wrong with the tone. There is just something so bitter about the communication that it renders the work repugnant. I like hard-hitting books. But this one has a thorn in its side, and without enough grace to bear it. There is a ‘root of bitterness springing up’ in it (Hebrews 12.15), and the work is defiled thereby. Which begs me to line up some of Pink’s other faults. (1) I won’t make much of this first point, nor am I saying that I am right for sure. I put the point in only because the author I’m critiquing is so sure that he is right. The truth of the matter may not be as simple as he thinks. He teaches that Christ could have healed the ‘great multitude’ (p. 24) when he healed the man mentioned in John 5.3-9. Can we be certain of this assertion? We know from other verses that sometimes power was with Jesus to heal (Luke 5.17) and that sometimes ‘he did not many mighty works’ (Matthew 13.58.) Focus in on that verse from Luke particularly; it would be needless to say that power was with him to heal if that was the case always. This fine detail may yield our answer (in subordination to the fact that Sovereignty from Above had decided the matter) as to why only one man was ‘made whole’ at the pool where so many among the disabled were gathered in search of a miracle. Sometimes virtue went out from Jesus to heal even before he perceived it (Mark 5.30.) Why? Because Jesus was subject to his Father in heaven. Jesus was divine and had supernatural power in himself and from on high. I’m not denying any of that. But the works that he did were those which were given to him by his Father to do, and no more (John 5.36.) (2) On page 39 Pink speaks of the ferocious panther and the polar bear at Genesis 6.19, 20, which time was before the Flood, before animals had become wild, and before the extreme seasons were introduced. It was after the waters had receded and after the ark had settled that the seasons began and the beasts became wild (Genesis 8.22, 9.1.) I’m not making too much of this point either. But why not mention it since those verses are so suggestive? (3) The mere fact (is it even a fact?) that the word ‘heart’ occurs ‘three times oftener’ in the Bible than does the word ‘will’ furnishes no further proof that the heart is ‘the dominating center of our being’ (p. 133.) The heart may indeed be the center. But its frequency of mention could not prove the point any more than that sin, on the strength of being mentioned more, is greater than grace. This is a juvenile ‘proof.’ I am surprised to catch a great scholar making use of it. Suppose that the city of Toronto were mentioned more than the city of Ottawa in a travel magazine about Canada. Would that mean that Toronto is the capital? No, and neither does Pink’s proof hold water. (4) His main fault is supposing that he’s going to untie ‘the gordian knot of theology’—that he will harmonize, more than others have been able to do, the Sovereignty of God and Man’s Responsibility (p. 143, 144), which, unsurprisingly, he sorely fails to do. The problem to solve is: “If man is incapable of measuring up to God’s standard, wherein lies his responsibility?” (p. 160.) Nothing new is discovered, and so nothing new is introduced, for a solution to this dilemma. In fact, waters are muddied more than they are cleared up. If man were to ask God sincerely from the heart for mercy to overcome enmity, then God would respond, Pink tells us (p. 160.) This solves nothing toward finding wherein lies man’s responsibility; in the heat of the moment Pink forgets that man cannot ask sincerely from a heart that is spiritually dead. A heart of stone cannot be sincere toward God. The unregenerate heart is unable and insincere; man is responsible to God to repent and believe, not because of an ability to be sincere, but in spite of a mortal disability that includes the inability to plead sincerely. In Pink’s own words from page 140: “Alas, what can lifeless man do, and man by nature is ‘dead in trespasses and sins’ (Eph. 2:1)!” (all emphasis his, especially the obligatory exclamation mark!) Pink is so sure (‘too clever by half’) of his ability to probe into a matter that the best theologians have been unable to fathom that he fails to notice the very noticeable blemishes that he has let fall into his propositions. 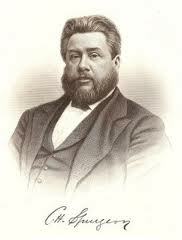 The position of Spurgeon on this knot is better than tripping all over the place for a solution. An approximation of that position is summarized for us near the top of page 144: the Scriptures affirm both Sovereignty and Responsibility, two truths that remain irreconcilable to finite man. It does no good to Pink’s reputation that he puts forward this failed attempt to untie what the likes of Augustine, Calvin, and Edwards were unable to unknot. Sovereignty lies behind all of God’s decrees. Attitude lies behind many of Pink’s faults. If the irritation caused by Pink’s raw attitude can be endured, there is much in this treatise that churches may be corrected on. That the love of God in Christ is limited in scope is widely shown to be the case from Scripture (pp. 200-203.) Its limitation is more than implied in well-known biblical sayings that are commonly read without attention. Hebrews 12.6: “For whom the Lord loveth he chasteneth” (p. 202.) What can this imply but that some receive no chastening love? Many more verses are offered in proof of this uncomfortable fact. But I give just a taste of how easy the point is to prove. It should be apparent that a false interpretation of God’s love is dangerous in the extreme when linked up with inadequate views of depravity and regeneration (pp. 114, 140, 141.) If God’s love is taken for granted by the depraved sinner who is told that he needs only to come forward, join a church, and sign a decision card, then his desperate plight is not conveyed, and the evangelist may get for his lack of trouble, not a sinner transformed by grace, but a falsely assured sinner on the road to self-reform, and still on the broad way leading to hell. The sinner must be told that in the matter of salvation it is not true that God helps those who help themselves. “God helps those who are unable to help themselves” (p. 218.) Total depravity requires regeneration for its fix; evangelical reformation follows regeneration, and some natural kind of reformation may be mistaken for the supernatural, regenerative act. But I must return, before I close, to the subject of the spirit in which this treatise is written. The matter is so important that it must be the main thing and the last thing left ringing in the mind of the person who reads this report. I do not doubt, based on the good content in this treatise and an allusion that is made on page 230, that A. W. Pink subscribed, at least substantially, to the Westminster Confession of Faith, including the chapter Of God’s Eternal Decree (p. 84) which was drawn up by the Puritans to whom this author owed so much of his understanding. In that chapter, directed to ministers especially, if not exclusively, are these words of warning: “The doctrine of this high mystery of predestination is to be handled with special prudence and care….” The Puritan Assembly agreed to include this last clause in the interest of those who ought to ‘be assured of their eternal election’ through the teaching of this ‘high mystery.’ Surely this ‘special prudence and care’ must include a spirit befitting the conveyance of the ‘high mystery.’ Surely a sour spirit is the wrong spirit to imbue in the work. A sour spirit must be a wicked sister at least, to the careless and imprudent spirit that the Assembly forbade. A sour spirit is not fit to handle Imperial Truth, is it? If some Christians are assured of their eternal election by this treatise, this is good, and I am glad. But the reader of The Sovereignty of God is apt, I think, to carry away with him darker notions of God than can be justified from Scripture. And this unfortunate baggage is due, not to the doctrine of sovereignty exposited by the author, but to the Uzzah-like hand that reaches into the work. John Bunyan, in handling the most disagreeable subtext of all respecting the sovereignty of God: the reprobation of the non-elect, never betrays an embittered spirit, as firm and steadfast as he is throughout, and notwithstanding the irritating assaults on the doctrines of grace that might have flustered the man. His Reprobation Asserted is a far safer place to turn for lessons on sovereignty than The Sovereignty of God. And what James White has to say in Debating Calvinism contains many of the same repairs for false notions of verses connected to sovereignty that Pink’s treatise does, and they are communicated less offensively, even though the book containing them is polemical. The Force of Truth by Thomas Scott and Spurgeon v. Hyper-Calvinism by Iain Murray are better depots to inquire at for the same reasons. Let’s go on to dissect this rude tone some more. Let’s get into the very guts of this issue. I counted 194 exclamation marks in this treatise. They appear after each Roman Catholic anathema is quoted (p. 139.) They frequently appear after Scripture verses are quoted (pp. 85, 87, 104, 127, 142, etc.) To sum up, you might find one of these marks virtually anywhere. I would not edit even one of them out, though, out of respect for what a writer has written. Let’s just take Pink as he presents himself in his writings. And let the man be subjected to accurate criticism. He unwittingly invites criticism in one of his vituperative remarks: “True liberty is not the power to live as we please, but to live as we ought!” (all emphasis his, p. 149.) Did the author of this admonishment, during the composition of this treatise, live as he ‘ought’ to have lived? In spite of the ubiquity of his glaring anger (not just righteous indignation, but biting rage), he would have readers believe that he is not ‘entering the lists’ with anyone. He is totally entering the lists here; he enters the arena of combat from the get-go and he stays in it the whole way through! In case I have not sufficiently communicated the offensiveness of Pink’s tone earlier, take a look at this from page 255: “The vessels of wrath He endures ‘with much long-suffering’ (see Rom. 9:22). But ‘His own’ God ‘loves’! !” (all emphasis his.) Now take a look at a passage on the same subject by R. M. M’Cheyne: “Ah, brethren! I believe each of you will yet be a beacon or a monument—either a beacon of wrath or a monument of mercy” (Sermons, p. 186.) Do you feel the difference between these two passages? The first one (Pink’s) communicates no love, though the word ‘love’ is used with emphasis. The second one (M’Cheyne’s) communicates love even while warning sinners. And now I am going to qualify the statement I made earlier about Pink not being a Hyper-Calvinist. Technically, he may be innocent of the charge, for he admits that God is kind to unthankful, evil persons, which is an admission that God has a sort of love for the non-elect. But he admits this divine kindness in such a grudging spirit, and so lightly and infrequently (probably just once) that I would not begrudge anyone calling the man a Hyper-Calvinist practically in this one book. On the subject of God’s love, A. W. Pink is not as well read as he thinks he is, and not as much in the tradition of his theological heroes as he asserts. He says the following on page 200: “That God loves everybody, is, we may say, quite a modern belief. The writings of the church-fathers, the Reformers or the Puritans will (we believe) be searched in vain for any such concept.” It did not take me more than the turning of a few pages in just one book to prove Pink wrong: “God hath universal love, and particular love; general love, and distinguishing love; and so accordingly doth decree, purpose, and determine: from general love, the extension of general grace and mercy: but from that love that is distinguishing, peculiar grace and mercy” (The Works of John Bunyan, Volume 2, Reprobation Asserted, p. 340.) Bunyan goes on to explain that it was because of God’s universal, or general love, that Ishmael, the rejected son of Abraham, was blessed. That God loved Isaac ‘with a better love’ is obvious, for he was chosen by God over against his half-brother. That Ishmael was blessed by God no one can deny, though, for the thing is written in Scripture. And what do we call a divine blessing but an exhibition of God’s love? Bunyan is no obscure Puritan, but the best-known Puritan of all. His belief that God loves everyone is no ‘modern’ belief, for he lived in the 17th century, which century is closer to the medieval age than it is to Pink’s. Pink quotes Bunyan’s treatise on reprobation approvingly on pages 106, 107. How closely did Pink study this brilliant treatment of eternal election? He had done well not only to study it, but to imitate its appropriate tone. How strange that Pink could write a chapter called Our Attitude Toward God’s Sovereignty and at the same time be so blind to his own hyper-frequent attitude abuses! If it seems too extreme to label The Sovereignty of God Hyper-Calvinistic even practically speaking, then can it not be said without slander that the book is hyper in some fashion? If it is not hyper based on its position on God’s love, can we not say that it is hyper based on its hateful tone? It is hyper, or excessive, in the stridency of its tone. There is nothing more conspicuous than this in the whole book. The tone of the book is the book’s signature, if there is one. Thousands of persons must have read the treatise since its first publication; would even one honest person among them dare to say that its tone is not bleak and curt, even consistently so? This nasty excess is distasteful, shameful, and intolerable. The Picture of Dorian Gray is the most depressing novel that I have ever read. The Sovereignty of God is the most depressing orthodox theology that I have ever had the displeasure of reading. How lovely that these two depressing books just happen to sit together on the shelf in a dark corner behind my shoulder! A. W. Pink is not a necessary man to turn to for learning your Bible doctrines. Any Puritan of note (and there are many to choose from) will teach you more, will teach you better, and will do you more good. An air of unsociability blows through this treatise. And it makes for a sad reflection when you think of how much readier the same message might be received through kinder communication. To read the Puritans and to emulate their content is commendable. But to be as approachable as they were, one must copy their character. The flowers of Calvinism should never look and smell (as they do here on account of gruffness added to gravity) like Beaudelere’s Fleurs du Mal. To be specific, the mood of Pink’s treatise on sovereignty is like the feeling conveyed by this couplet from Beaudelere’s poem, Owls: “And darkness settles everywhere;/The last sad rays of daylight die.” That might seem like severe criticism. And I suppose that it is. But this book had that impression on me. The cause of this negative effect is the tone, the voice, or the expression, which I have been careful both to show and to explicate. Too many readers smear A. W. Pink because they misunderstand Calvinism, its implications and deductions, and Christianity generally. From the other extreme, he is read uncritically; some even follow him cult-like. Balanced criticism of this author’s writings, and of this book most particularly, is extremely lacking. From what I have read of him, he is most times a great expositor. The Sovereignty of God is his most controversial book. If I ever review other books of his that I have read (which is unlikely), I can guarantee less negativity in my criticism.